So, this has been driving me nuts. I was heartbroken when i lost this auction last year. It was out of Thailand. I thought I would never see these guys again. I probably have a bunch of pictures of various Epoch figures, but they are on my computer at home. As far as info or leads, no, none. Oh boy, you should really regret losing this auction. 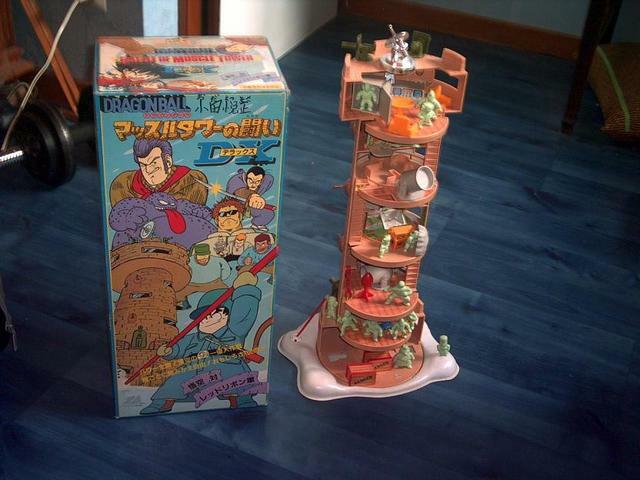 In my opinion Epoch (or "エポック" in japanese) made some of the most amazing toys (the Muscle tower playset is one of the most famous examples). Especially if you consider the time. Due to this, not too many facts are known and the figures are not too well documented. The specific figures you are looking for were released in 1986 (as mentioned in the video). Let that sink in for a second. That's probably before many of the members of this board were even born. 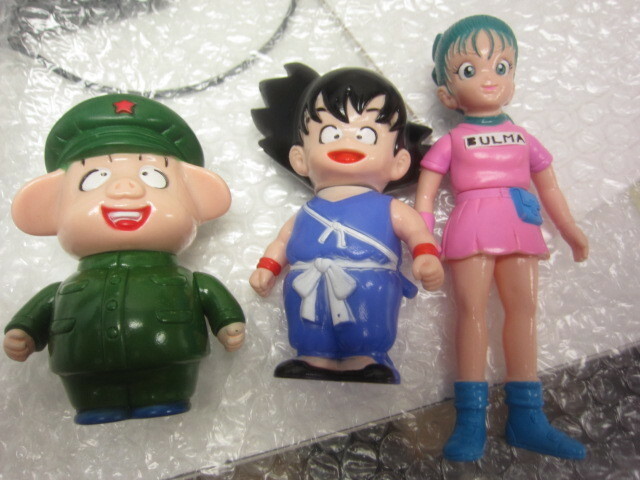 The line was simply called "Dragon Ball Soft Dolls" or "ドラゴンボール ソフト 人形". 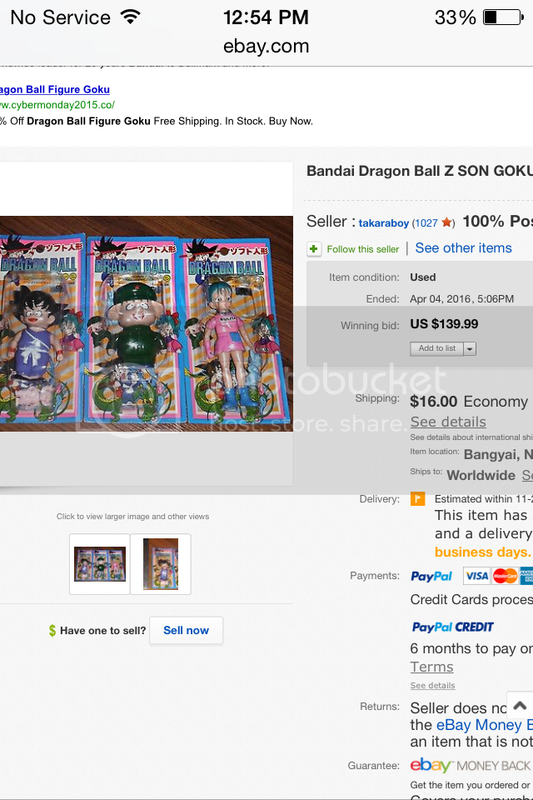 As far as I know only Goku (~10cm), Bulma (~13cm) and Oolong (~10cm) have been released in this particular line. 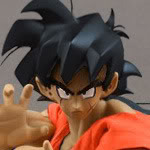 The Goku sometimes appears on auctions.yahoo.co.jp [Link1] [Link2] . As for Bulma,you can try to get her HERE. I have no details on the playset that have not been mentioned in the video, but the figure itself is definitely the same as in the regular release. 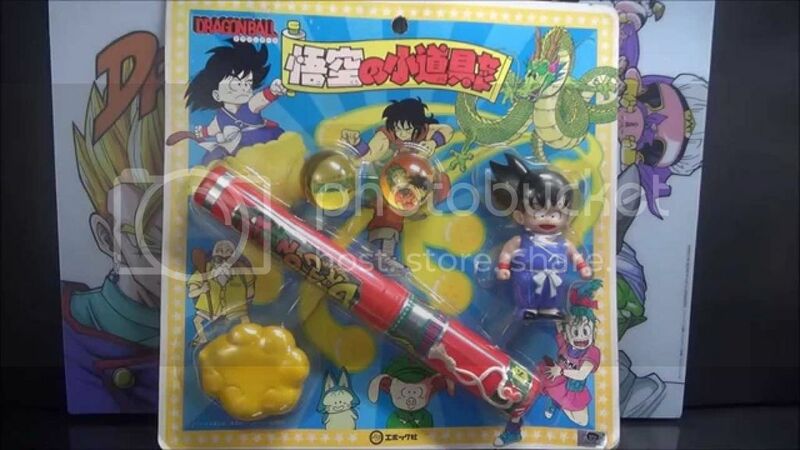 The set itself is called "Son Gokus gadget/props set" or "孫悟空の小道具 セット" or "Son Goku no kodogu set". I have never heard of a similiar set for the other characters. If you ever have the chance to grab it, do so without hesitation! In terms of "what else could be out there", you should check out this post and this results on yahoo. Branjita : I would love to see some of those pictures! THANK YOU SO MUCH GSAIYA!!! thats waaay more info than i was expececting anyone to have. And yes i would also love to see more images of vintage epoch stuff. Im familiar with the other line of figures already. The one with oolong on the scooter. Also, if you don't already have it, I recommend having the Firefox add-on named uBlock Origin when looking at Photobucket. The ads make my computer go insane. That add-on makes Photobucket really pleasant to look at. theres some really cool stuff in there. i would love to get the tenkaichi budokai with the matchups and the raggedy ann looking bulma doll! That tien.... I hope theres a story behind that and its not an officially licensed product. Its absolutely deplorable yet I cant stop looking at it. I'm pretty sure that 3 eyed character is from some other anime. I just had it in the folder because I guess it is made by Epoch. Tien was waaaaaaay later in the anime and manga than anything Epoch seemed to make.